Trad Music Trust are aiming to deliver a year-round programme of music, dance, arts and language tuition and workshops, live performances and associated creative arts events and activities based in a new arts centre facility in Newton Stewart. 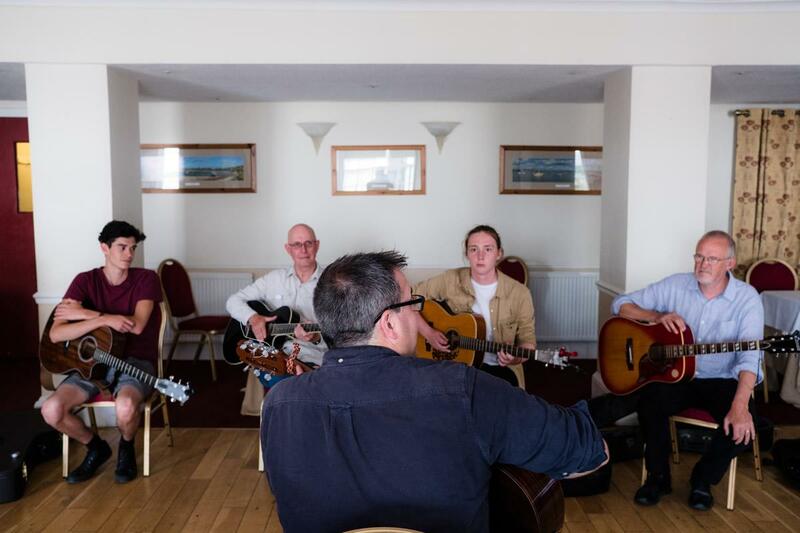 The aim of the project is to encourage, develop, support and promote traditional music, dance and language learning, composition and performance in Wigtownshire, supporting the work of the organisation and on-going delivery of the annual Newton Stewart & Minnigaff Traditional Music & Dance Festival which celebrates it's 6th year in 2019. It only takes a minute and if you provide an e-mail address and/or contact telephone number at the end of the survey you'll be entered into the prize draw to win two tickets for opening night at the 6th annual Newton Stewart & Minnigaff Traditional Music & Dance Festival on Friday 12th July 2019 at the Festival Marquee, Creebridge House Hotel. We've had over 410 responses so far - a fantastic achievement - but we want to push it even further to ensure that the project is as inclusive as possible and has taken into account as wide a range of views as possible. We're particularly keen to hear from 18-24 year olds living in Newton Stewart and surrounding areas. The survey closes at 5:00pm on Thursday 31st January 2019.